Highway 10 will remain closed through rush hour as police investigate a head-on collision between a van and a semi truck. Highway 10 remains closed as Delta Police investigate a serious traffic accident that occurred late this morning. 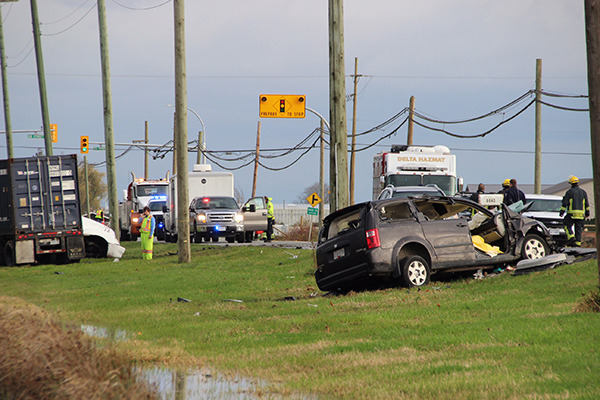 At approximately 11:40 a.m. on Nov. 23, Delta Police responded to a two vehicle collision in the 8600-block of Highway 10 (Ladner Trunk Road). The driver of the van has been airlifted to hospital with very serious injuries. The driver of the semi sustained only minor injuries. Delta Police remain on scene conducting their investigation and clearing the significant debris and vehicles from the area. As of 3 p.m., the road was closed in both directions from 80th Street to 96 Street. It is anticipated to remain closed for the next several hours, well into the evening rush hour. This is the second serious accident involving a semi on that stretch of road in the past week. 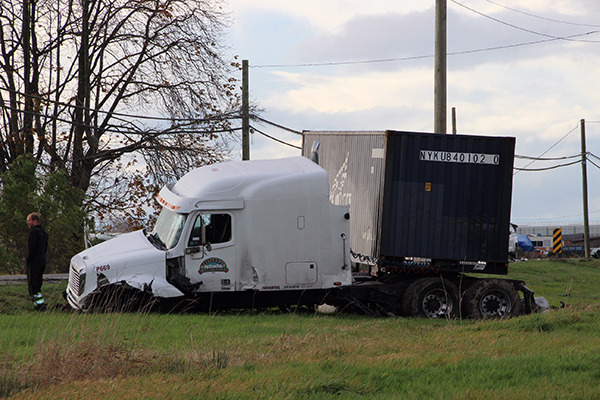 On Nov. 20 at 8:46 a.m., Delta Police were called to a report of a collision between a Jeep and a semi-truck in the 10400-block of Ladner Trunk Road. Ryan Hammerer, 44, a Surrey firefighter who was driving the Jeep, was killed in the collision. Police say it appears the Jeep was heading eastbound and veered off the road, hitting a parked semi-trailer.